A juicy piece of baked salmon with crispy browned Panko breadcrumbs on top. Heat the oven to 425°. 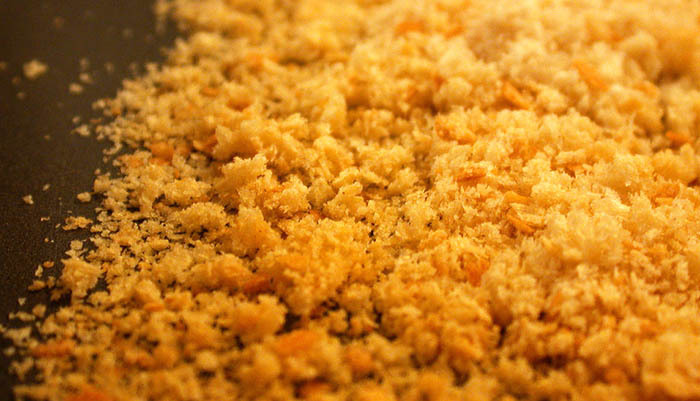 Brown Panko crumbs, constantly stirring, in a dry skillet. Coat the fillets with a mixture of Dijon mustard and olive oil. Press the browned crumbs on top of the mustard so they stick. Bake them for about ten minutes. Crispy with every bite.